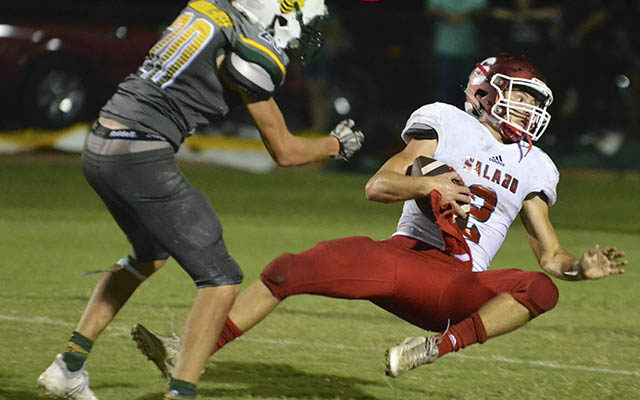 Even with 442 yards on the ground, the Salado Eagles fell to the Taylor Ducks at Eagle Stadium Sept. 21 for a 25-35 Homecoming loss. 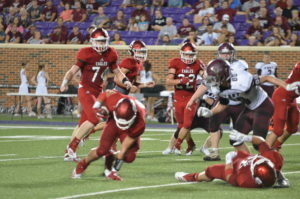 Salado Eagles stymied a lackluster Austin Travis Rebels squad, shutting them down for no first downs while their ground and pound run attack churned up 344 yards of articificial turf at the venerable Austin House stadium Sept. 13 for a 42-0 non-district win. From the get-go, Salado Eagles took control of their non-district rivalry with the Academy Bees played Sept. 7 at John Glover Stadium, leading off with Wrook Brown recovering his own on-side kick near midfield. 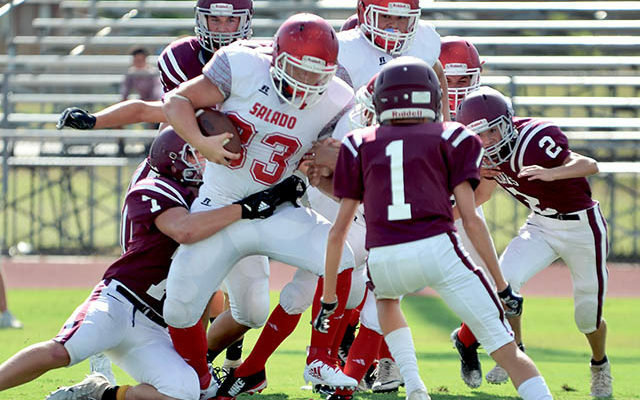 Toby Rios led the Salado ninth grade Eagles to a 32-15 win over Troy on Aug. 30, scoring three touchdowns and running for 175 yards. 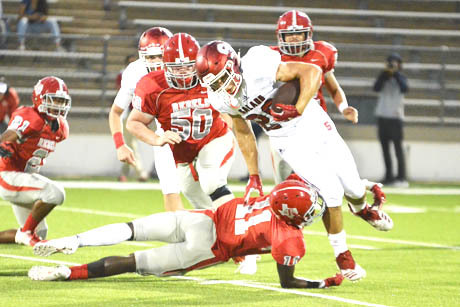 Friday Night, Salado Eagles and the Academy Bumblebees renew their rivalry at Academy High School’s Glover Stadium 7:30 p.m. on Sept. 7. 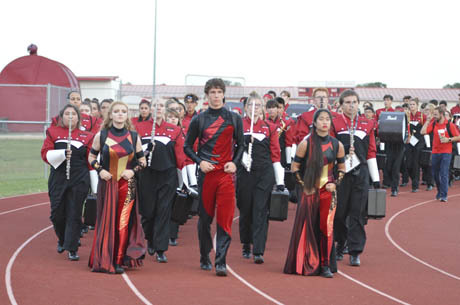 Salado and Academy both dropped their first game of the season and each team will be looking to get into the win column. 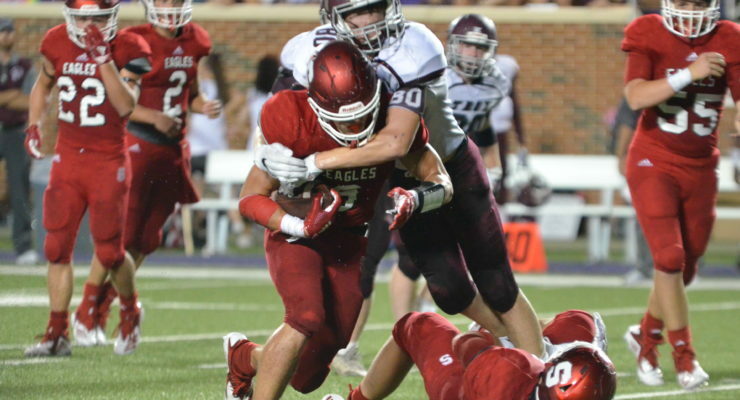 This week we look at a few Eagles that will be playing tomorrow night for Salado. Jo’Kwan Langston #64 plays offensive tackle and defensive tackle for the Eagles and is a big presence on the field. 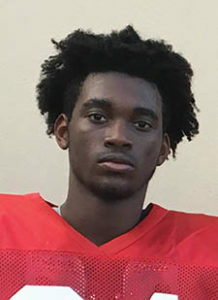 Langston also competed in Powerlifting and Track & Field in the spring. 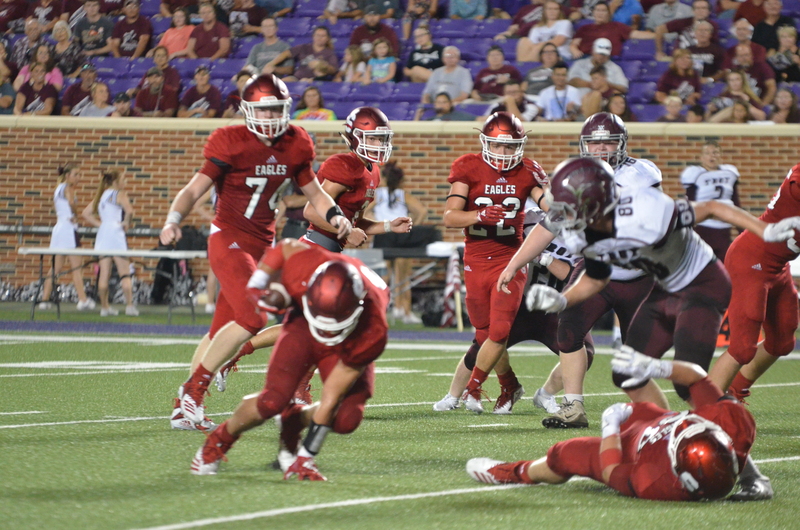 Andrew Sniggs #57 has two years of experience for Salado who help guided the Eagles to the Region 3 finals last season Andrew Sniggs was also All District at Defensive tackle in 2017 and will move to defensive end at times this season. 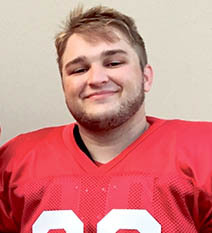 Ryan Starrit #62 who suits up and plays offensive guard for the Eagles and is playing his second year on the Salado Eagles Varsity team. 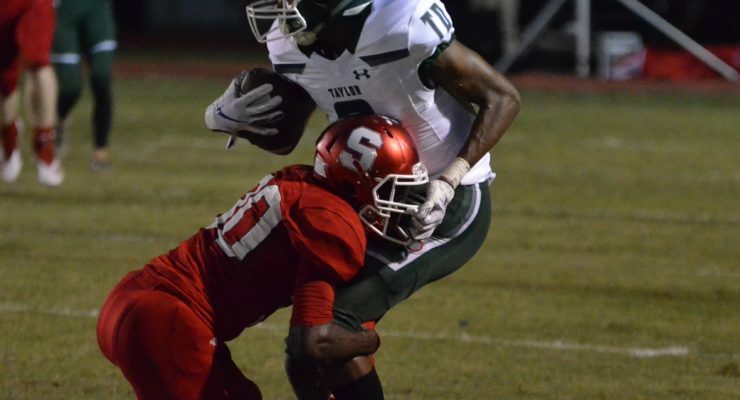 Starrit also competed at Regionals on the Eagles Powerlifting team in the spring. 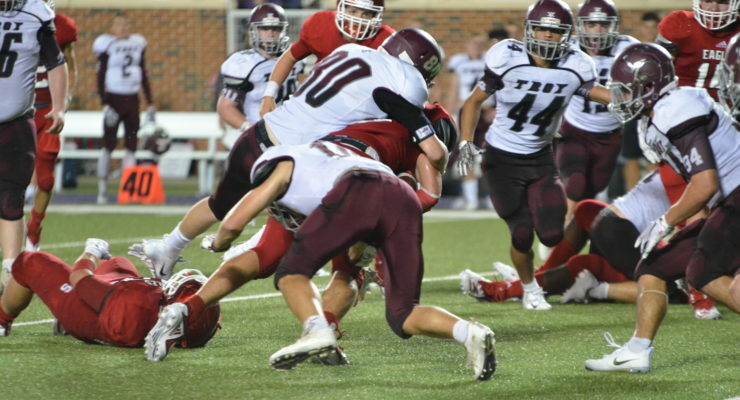 Hunter Bales #33 will be playing a bigger role this season for the Eagles at inside linebacker is also playing in his second Varsity Football season. Bales also plays baseball for the Eagles that went 4 round deep last season. One moment, you’ve got it. A moment later, and like the seeds of a dandelion, it is gone. 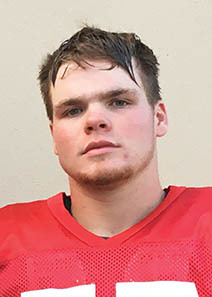 Salado Eagles found themselves in that position as they lined up for a short 25-yard fourth quarter field goal attempt to take the lead in their season opener Aug. 31 at University of Mary Hardin Baylor Crusader Stadium.